Wow. Finally somebody in power who gets this. Why do I think Businessman Randy Boyd may have said this? Cause that’s how business people think. Yeah, but it’s never been about hiring or keeping great people before. It’s always been keeping money in buildings and the people can be replaced. Tennessee would have lost Barnes if the bozos in the admin, and not just Athletic Dept, were still here even if Fulmer were AD. 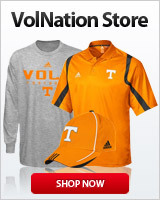 The entire school has been run this way.. Why couldn’t Tenn hire a competent AD when Dickey retired, for example? Why does it take 10 unsuccessful President/chancellor hires? Bad hire after bad hire. Bad hires hiring bad hires. And, now, they finally get it. It was a change, no doubt, that Fulmer was proud of. You could hear it in his voice. Credit goes to Boyd and Fulmer for stepping up and retaining Barnes when UCLA tried to hire Barnes. It's not on Phil, chief. From Mike Hamilton to Dave Hart to Jimmy "Booger Eater" Cheek, none of them got it. So far, it looks like Phil is at least trying to make the investments in the right people where the rest failed miserably. I liked how he said we are night and day, very emphatically , from where we were this time last year. So proud that Fulmer got to come home. That press conference when he was leaving was painful to watch because he has such love for Tennessee.l and you could just feel the pain in his voice. Great story of redemption. It's good to have someone that came from the trenches and isn't looking from the outside wondering what's going on. Learn how to communicate better then rather than typing some childish remark about a person that many on here respect. We know your sorry now apologize. Anybody that didn’t get that it was a “duh” moment that past administration was hackwagons, is just yanking your chain. AD PF stated for the record so that all the hackwagons would be satisfied that they knew he knew what was up. The most telling comment from Fulmer was when he said for the first time since 2003 the entire University is aligned, from the President to the Chancellor down to the AD. It's been 16 years since the athletics Dept. Has had the support from th.e higher ups. We may actually start seeing progress. So thankful Fulmer is our AD and Booger Cheek is gone!